This Week: Learn how to interview like a talk show host! Sure, nobody wants to be a be a bore or one of those long winded hot air bags. And most of us are not. But when a microphone is in front of you, even the most chatty individual can freeze. And as a business professional, being media savvy is key to success. I asked my friend, the dynamic and funny radio talk show host Debbie Nigro to help anyone sound like a gem when being interviewed or interviewing. These tips are not only great for on air, they make you sound like the most authentic conversationist too. Debbie knows how to talk, and she made it a profession. She is a 3X Past Winner Of “The Best Nationally Syndicated Radio Talk Show of The Year” from the American Women In Radio & Television, has hit The Top 100 Talk Show Lists more than once, and was the first woman in the U.S. to own a radio syndication company (because she didn’t know any better and because no network at the time would risk syndicating a show by a woman that wasn’t about politics or who wasn’t a psychologist). 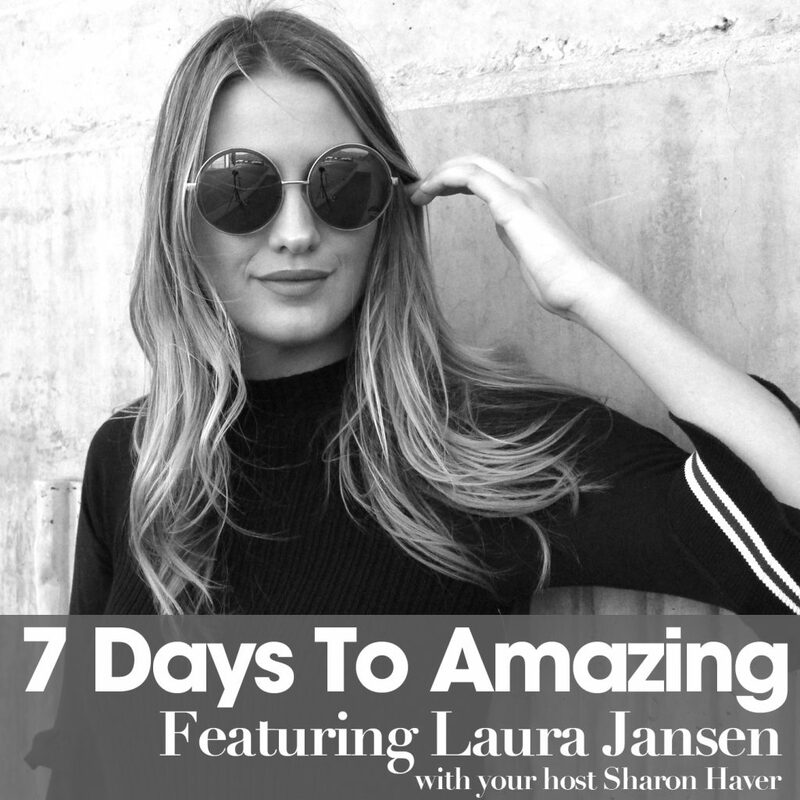 Hello chicsters, I am Sharon Haver and you are about to be amazed. 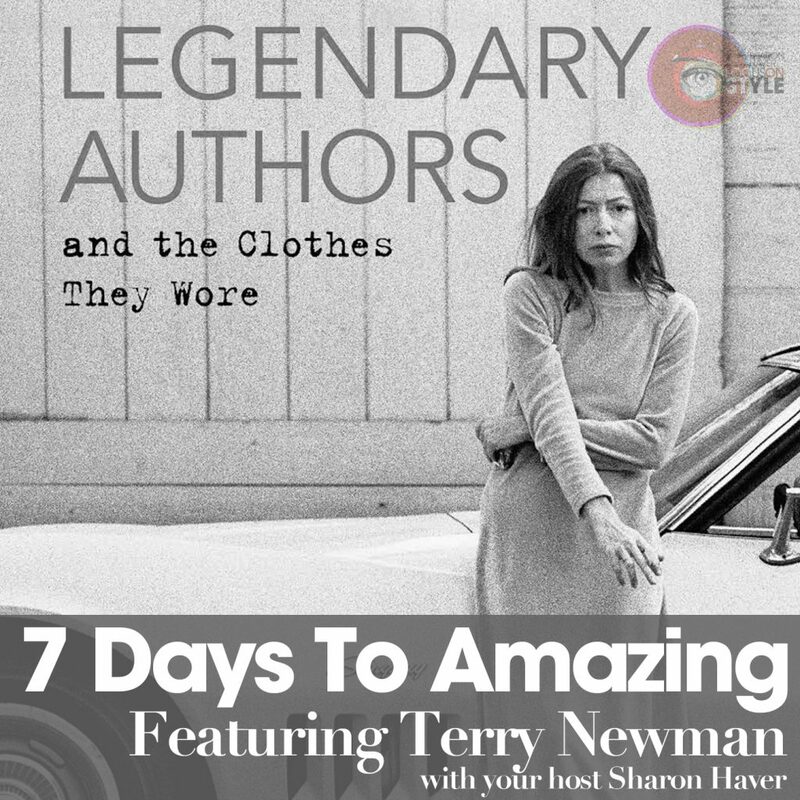 I have a very special guest on todays episode of Seven Days to Amazing, Debbie Nigro is also one of my business besties, but she is a multi-faceted business and broadcasting entrepreneur and visionary and three time past winner of the nationally syndicated radio talk show of the year awards from the American Women in Radio and Television. Debbie is a pioneer in self syndicated female targeted radio, she is a hit top one hundred talk show list and more, Debbie is one of the first women in the USA to radio syndication company because she didn’t know any better and because no network at the time would risk syndicating a show by a woman that wasn’t about politics or wasn’t a psychologist. 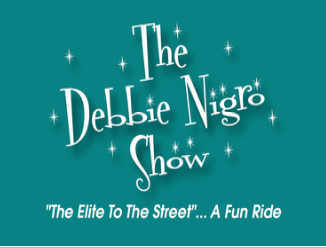 Debbie Nigro is currently the owner and Executive Producer of the daily talk radio program called The Debbie Nigro Show – The Elite to the Street a Fun Ride. Her radio shows and vignettes have aired in 500 markets with the backing of corporations such as Avon, Blockbuster, General Mills and Seven-11. Further she wrote, produced and syndicated television features for the network news broadcast in over 60 US markets, let’s cut to the chase, Debbie Nigro knows how to turn the gift of the gab into money making endeavors. I want to welcome Debbie who is the Queen of the Sound bite, and I am thrilled to have you hear today, and for you to help women entrepreneurs, business owners and anyone learn to understand how to talk in quick pithy sound bites. I am honored to be on your podcast, Thank you for inviting me. You are welcome, its kind of fun and exciting to have the tables turned. I have known Debbie from before my son was born, I remember once trekking up to Stanford for a party for your TV slices, when I was pregnant with him, so he is 18, so do the math on that, so we have got to go back 20 years, right? I never open a conversation with a woman when you start doing math on her age, so we will regress that. No, but we age backwards, we just get younger and younger and younger. I tell everybody I am ageless, and weightless and I am sticking to it pal! I know I kind of like the ageless part. I was pregnant, I got pregnant when I was about 3, and so it is ok. I think you were about two and a half. Very cute. So with life comes wisdom. I am very happy to be sharing some of my hard earned wisdom with your audience today, I know that you asked me to talk about talking and interviewing and how to do it to so that you sound like you are a compelling guest when you are on a podcast or on a radio show, a television show or even in person with another human, what a concept these days! It is very funny, you asked me to speak on this and give my wisdom, and I took a moment, sat back and went WOW! I take for granted, this is something that comes simply to me, so I don’t quite realize sometimes that it doesn’t come simply to somebody else, to have the gift of the gab, to be able to talk in sound bites, to be an engaging guest. So thank you for letting me take a moment and talk about what I do and that might help somebody else. This is so true, I remember at one time, I was so completely in awe of you, when you had your show that was 3 hours a day, five days a week with I don’t know how many guests that you had that week, and you were constantly on top of it, Snap, Snap, Snap and making it engaging and interesting, it is a lot of work and a lot of talent. 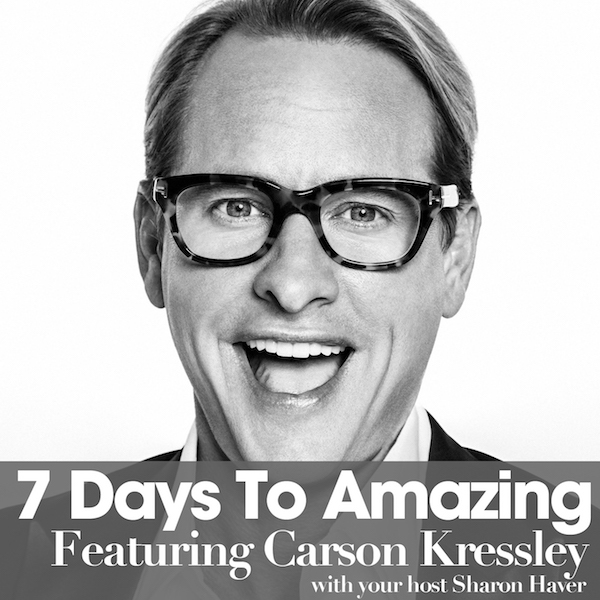 I have been following you and been a guest on your show, as we now know for centuries, people don’t realize that being able to just nail it and be fun and funny is a real craft, you might be really fascinating in a conversation when you meet someone, but being on an interview, radio show or a podcast is not the same thing. When we speak to people, and now you know the Internet has made everyone superstars we have Facebook lives, we are always on it, we are all over the place. How can someone just learn to nail it? Let me just say the first thing. Something weird happens to people as soon as they know they are on meaning a microphone is on, a camera is on them, and they go off. Off to the wrong direction, it is some weird psychological thing that doesn’t happen in a natural conversation that stuns somebody to freak out with the words they are saying at the moment in time that are going to be set in stone, so they start to over think it, and over hesitate, so they end up sounding off. Instead of on, which is what they are hoping to be. So you get that to begin with. The first tip to somebody, and if this can be helpful, I know this will be difficult for some than others pretend the camera, the microphone or whatever is not really happening. I know that is really crazy, if you can just block that out and try and act like yourself, you will already be ten steps ahead, without that pressure which stumps your thinking, you can start to flow better. So what do you do when someone is just a dud, they are a bore? How do you get them to be fun, I have heard some of your interviews and I know you are working it, you are doing it, you are earning your money. Everybody has something brilliant to share, not everybody is good at sharing it. We all express ourselves in so many different ways that comes naturally to each of us, somebody is a painter, someone is better in writing, someone is better in posing, or socially. We don’t do well when the moment of truth comes for a sound bite for a newspaper reporter or for some reason they are getting the chance to be in the public eye. I have had many a moment when I will sense that the other person is just not giving anything of value so that the audience will want to stay tuned, so what I try and do is, you have to listen, when you are interviewing you almost have no time to stop and listen if you are not a professional as you are already preparing your next question in your head, so you are half listening to the person who is talking and half getting ready to ask the next question. So you have to listen, if you stop and listen and pick up some little thing in a comment that this boring person has mentioned, it might be something as simple as they were late today because their dog had a virus, you may want to stray from the reason of the conversation as you are trying to get human with people, so you say “Your dog was sick, tell me what happened to your dog?” they will be like What! That isn’t the reason they are here, but once people start telling about their dog they start speaking about something they are about, something they are passionate about, then you can get their energy going, then you can steer it back to the reason they came to be talking to you in the first place. That is a really great icebreaker that is a really great icebreaker. Yes you need an icebreaker. I know so many times, I know when I do some radio shows or podcasts, they will be like, “Give me ten questions you want me to ask”, and they actually sit there and ask you the ten questions, it is like, the conversation broke a little bit, you need a little repartee it has to go back and forth a little bit. Let me say something about that, people have asked me to send questions in advance for my show, I refuse. That’s just me, it’s not my style, I can conduct any interview with television or radio as if I am sitting with you having coffee or in a bar, there is no script for that, you extend a question you hear an answer you listen to the answer, you extend another question. However, I will tell you the average person will freak out if you don’t give them a sense of how a conversation that is going to be taped or videoed is going to flow and also people who are conducting interviews don’t want to be caught going so far off base that they would like you to consider a certain series of questions that would be relevant to this podcast like you sent me, or an interview where they are trying to glean a certain amount of information. It is more comfortable if people have s sense of where the conversation is going, I never stick to all the questions exactly; I encourage everybody else not to either. I totally agree with you, if it is good for a flow or direction. It is also good if someone is a dud and it is not going anywhere and they have prepared something. It gives a continuity to a program also as you know there is going to be certain points that always come up, maybe not the exact ones, but it is still going to fit in that flow. The problem with most people if there is a set list of questions and that is all they are ready to answer and you go off in a different direction it may fluster them if it is somebody that is not confidant. On the flip side, if you are a great interviewer and in the process of listening to the answer of pre-selected questions and you hear something fabulous and you don’t pull that out and ask more about that, you are not doing your job. Absolutely, absolutely can you also help us, what makes someone a great interviewer? I figured that as much! I can tell you, I am not very good at blowing my own horn, and you would think that someone in the media for promoting myself, I am terrible. I want to blow your horn for one second, people don’t understand the craft that goes behind what Debbie does. Debbie does Media, and you are really listening to a pro. The reason she isn’t she isn’t blowing her own horn, I don’t know, maybe she is just a nice person, she really is incredible and amazing, if you think it is easy to be talking to so many people in a week and make it engaging for an audience, then you try it. You will realize that Debbie is a genius at this. Thank you very much for that courteously to all of your audience, thank you. What I was going to say and this was kind of funny that you jumped in is, I will admit after all of these years, I have interviewed thousands and thousands of people, heard thousands and thousands of answers. I will say that I am probably one of the best interviewers that I have ever heard because I have spent so much time tying in, and I will tell you why. I listen, I am warm, I give another person before they start with me the confidence that I am not going to embarrass them, I am only going to bring out the best in them, I am not a political reporter so I am not trying to catch anybody with a crazy quote that I can send out on Twitter and make them look like an idiot. It is very important to give your guest comfort, confidence, it is a team effort here and you are going to give them time. As soon as someone knows that you have their best interests at heart they will immediately let down one level of guard. That is interesting and it is so true, and you also do it with incredible humor. That is a very important next step. Humor and wit, you can’t give someone a personality you can’t make an unfunny person funny, how can someone find the light side, find the right side, find the chuckle in something? I lead with humor, I use humor as a very interesting tool to get peoples attention so that I can deliver very important information, we are in a very cluttered world of information and it is hard to get everybody to look at what you are doing, it is a constant overload. Most people resonate with humor, it is a diffuser, it lightens the mood, who doesn’t like to have a good laugh, and it is good for you too. That is my signature style, it comes naturally to me, I was born with a sense of humor, I was a chubby kid, it was the only way I was popular. What I would say to the average person who is not trying to do standup, try to find a way to talk with a smile, I have a very fun word that I can up with, it is called ‘Smeaking’ which is smiling whilst speaking. We are going to try it right now, this will change it a little bit for everybody, I am going to say a sentence without a smile, and then I will say a sentence with a smile. I am going to say, “Thanks Sharon, it is very nice of you to have me on the show today,” no smile. Now watch this, “Hey thank you Sharon, very nice of you to have me on the show today, I appreciate it”. Try and smile while you are speaking, not every 5 seconds, you don’t want to be a goof ball. You will notice the difference in the tone, and that is the next thing I want to talk about. Try that; try my ‘Smeaking’ tip. Okay and we are going to make a Meme out of that one, now lets talk about tone, not the color of your hair, but the quality of your voice. Yes. Tone is everything; I think that people don’t realize that they can change the mood of a conversation in an instant by changing their tone. My effort everyday in what I do is to play a tone of warmth, of aiming the listener comfortable, friendly fire, engagement and being authentic. That is my tone and my sense of humor that is my tone. I will give you an example of a tone of a voice and how you say something; I will say it without the right tone, then with the right tone. Two different interpretations, I am making this up as we go along by the way. “ Oh that product that you invented was pretty spectacular” that is it it’s a comment. That example of a tone is leaning in without physically being somewhere to lean in. So what happens when someone is just going through some Joycean stream of consciousness and there is just no way to get them to go to a full stop, they are on that long train ride around their life and you really need them to just, you knew you what you wanted to jump in with, but they never took part. Those people are so hard. I have been doing this professionally and I still find it a challenge when someone is off in the passing lane and leaves you absolutely no window to ask a question, usually behind the scenes I slap myself on the head. Then I roll my eyes, they are not listening, a good interviewer will start to say, they will start to bring words, and if the other person doesn’t slow down and pull over into the right lane, then they are not giving the interviewer a chance to have a back and forth conversation. That comes out of nervousness on the part of the interviewee, not paying attention or listening to the queue, so if you are being interviewed listen for a queue from the interviewer who may be trying to say to you without being rude” Shut Up”, let me ask the next question. And they will say “I am sorry” and they will continue on, Oh man If I was in a studio with you so you could see the cut sign, it is so hard when you are doing a phone interview and there is no eyeball communication. We have done this before, me and you done it before, just play the tape back for everybody, “I have to say something”, “I have to say something”, you said “I have to say something”, it went on until somebody won. That is actually kind of funny. Only because we know each other! Yes, of course and I love you, and as we try to teach speaking over somebody, there is a very interesting dance that goes on when it is a conversation in person. You are able to see when somebody’s body language shows they are about to offer something, so you know when to sit back and when they start to slow back and you lean in. Often you don’t see that in an interview or a podcast interview or a television interview, of if you do your not so aware as you are so wound up, if you are not versed in doing this. There is a cadence in speaking, an ebb and flow. Some people no matter how hard you try, you just can’t get the flow going with them, that is just unfortunate. For the most part it is a dance and there should be a rhythm to it, so watch for the rhythm and try and play with it. Yes and let me just explain I think it is important for people to understand this word ‘Podcast’ and what it means, as it is a new thing. That is growing in leaps and bounds, Podcast is doing to radio what Netflix done for the movie industry if you can get it that clearly. It is a radio interview or what you would consider that you would have heard on the radio, on demand for when you want to listen to it, but what is different is the internet and the digital world has leveled the playing field, so anybody with a great topic to discuss and conduct some great interviews, can rise to the top. There is great value in terrestrial radio; I still have a real live radio show on every day, out of studios in Greenwich, Connecticut. That I have actually proved concept for the last couple of years and rolling out nationally again, we found out that people are clambering for their podcasts of their radio interviews afterwards, why is that? Radio still has great credibility, your name is in the media, you are perceived as an expert, and people want to hear from you. It also gives you a calling card to put on your own social media to show everybody that you are relevant, you are an expert, and you know what you know. What I have realized that people need help doing this, I have created a way to help people who would like to becomes the expert in their space, so the brand authority package, where they can be on the radio, they get a podcast afterwards, they have the social media promotion, I am showing people how to do this as I know this is what people need to do right now. Also radio is terrific for driving people to a web address, as nobody remembers a phone number anymore if you are driving and listening to the radio, but you always remember a web address, and you don’t realize sometimes that is where the interest is coming from. It is really exciting and people need to take you up on it, you are such a pro. You have been on radio for so long, you are so fantastic on this, and anyone who needs to up their game, all of us do, myself included. Debbie is truly a landmark icon; conduct great interviews, good conversation, funny, witty and the bees-knees and the gift of gab. I bring out the best in other people that is really my gift; I can do an interview better than anybody else as I make everybody that comes into my circle of conversations shine. People need to be at their best and out their best game out there, and their best foot forward. That is what I can deliver for somebody even if they are the most boring person I will make them sound the most fascinating. Everybody has something unique that they know it is about sharing it to let other people know, people will reach out to you once they know what it is that you can offer them. That is one of the things that I am excited about doing. I have learned a lot about the business going forward right now, but I will tell you, I still don’t know enough, I don’t feel bad as I just read an amazing statistic that only 10% of all the big business people on the planet actually know what is going on, everybody is trying to figure it out and hustle their way through this digital transition, you have got to stay relevant and you have got to keep trying new things, keep re-inventing, I am the queen of re-invent here, I don’t know if I mentioned this earlier. Yes you sure are the Queen of Re-invention. Re-invention is a key word for people as we get a little older our careers change, you need to be ready, and you certainly is someone from the outside looking in you wouldn’t think of you re-inventing, I always think of you being an interviewer a talk show host, a radio host, but you have gone through so many different ebbs and flows. If you want to share a little bit, as you make it look so easy. You have to have gone through a lot of life to be a talk show host; you can’t just talk about nothing. You have to have been beaten up, spat out, won and lost, suffered and tried, so that you can relate to everybody’s emotions on the other side of the microphone. That is what makes me a really good talk show host, I have lived a lot of life, and I have taken a lot of hits. I have fallen down a million times, I have stood back up a million times, through a ton of tragedy, I have survived a ton of tragedy, personally, family, romantically. If you don’t live, you can’t talk about living. I have started businesses I have been a startup queen, I have won, I have lost, I know about business, tried to raise money, I have been successful, I have failed, I have opened the doors to new business opportunities, I have got smart people to think I was smart, I have got smart people to think I was dumb. I can talk, because I have risked it, I know what is on the other side of that microphone, when somebody tips me off on something they have been through, I can relate. I also let my guard down so that they know they can trust me, and somehow turn it so that everybody sees what they are brilliant at. That is what I do; I am doing it in the new world order. I am going to be rolling out some fun things this year; I have a book coming out called –That is a Great Question. It is from interviewing 10,000 people asking ten billion questions, getting ten billion answers, these are questions that I have personally tested out in personal circles, business circles, friends, kids family, where every single person clambers to answer. It is a list of great questions for other people to use when they want to be interesting or include everybody in the conversation; I am excited about that one. 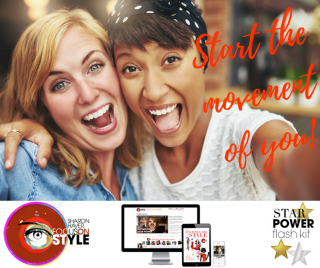 That is exciting and it is something you can use on a podcast or a radio show or if you are sitting in a dinner conversation or a networking event or you are meeting new people as people get so stymied when asking a question. So that is fantastic- Ask a Great Question, can’t wait. Can I ask you one? Yes, ask me one, why not let’s test the water. This is a fun one; this is one that everybody cracks up at. What was the one drink that you had, back when that you will never drink again as the experience was so horrific? What was it and where were you? Okay, it was a Sloe Gin Fizz I was at a club called Le Jardin, this is a good one, it was Barry White’s, White Knight, love unlimited back in the day. I think I was in high school, totally underage there and there was a lot of celebrities around, and I remember at the time, the Presidents son was there and there was a reporter with a big moustache who was actually cute back in the day, speaking of horrific. I didn’t really drink I know how to pose, I knew how to pose with a cigarette in my hand but I didn’t know how to do much of either one of them but I looked cool, and look older. I remember some guy in a white polyester suite bugging me and I told him if he didn’t go away I was going to burn him with my cigarette and my drink and I did, I spilled it on him and it was Barry White Night. Did you ever drink a Sloe Gin Fizz since? I don’t think I did, Gin makes me nauseas, some reason that was the drink to hold, and I held it. The end of these stories usually ends up with someone in the bathroom with their head over the bowl. I didn’t have that many of those nights, luckily enough. Website, there is a list of things that I can speak to, I love doing that, very successful doing that and back in action. What else am I doing, I am also putting out the show nationally, and I have three books coming out. I want to travel, meet people, get out, travel around the country and have some fun, and create this along the way. The podcast thing, just quickly I commend you, what podcasts are is portable on demand radio interviews, feature stories that people want to hear, when they want, how they want, at their convenience, it is a very big business right now. I think it is wonderful that you are doing it, it is very intimate, and I hope you are successful with yours. If anybody wants to find me. Thank you very much for letting me be on your podcast Sharon. Where can they find you on social, Facebook, is that where you post who is going to be on the show that day? The Debbie Nigro Show on Facebook. Debbie Nigro @ LinkedIn, business site. The only place I am not is Instagram, okay fine I will show up there soon. I am trying baby. I was starting to say earlier, my passion was creating a great show that was relevant, not political, talk radio, done by a woman that men loved too, I done that I proved concept. What I did wrong that I would do differently, I didn’t build my social media base properly from the get-go and keep a list, build an email list which I had done all along, privately, but not in a cohesive form. You are as good as your following unfortunately people look at that and decide how valuable you are these days, so I am not showing up in big numbers on my sites, but the point is I have accessed and made friends with influencers over the last couple of years. So those numbers aren’t just any numbers of followers, they are influencers who themselves have followers, so my reach is up to about 1 million, I am turning that around, as you have got to get there. Again I have quit a million times, what am I doing, I am glad I hung in there, and I hope we are able to affect the world in a really nice way, I am a dealer in hope, and I let people know everyday in spite of it all they have a great shot every day and a great opportunity ahead of them. So If I keep one at a time and people en masse and let people be hopeful and fun and positive, inspire them, motivate them, let them know it is never too late for anything, then I am doing good work. Yes you are, you are the Queen of the Sound bite, you are also a woman entrepreneur and as a fellow woman entrepreneur, hats off to you. No one knows how hard it is the ups and downs ebbs and flows other than someone else that has really walking the walk, you certainly have done it. Thank you for being here Debbie, I am honored, I am honored to be on the other side of the microphone talking to you, I get to ask you some questions this time, instead of you asking me questions. Thank your for throwing the little boozy one to me. I want to say you done a great job, very warm, very engaging, very fun, great job interviewing. Good for you. I will leave you with this one line; I like to leave everybody with a line they can think about. If talking burnt calories I would be a freaking supermodel. And thank you Debbie love, the links will be below on focusonstyle or pop over to iTunes and listen there.